On June 11, 2016, I went to Great Notion Brewing to try two IPAs they made especially for PDX Beer Week. Great Notion has gained even more popularity with locals, quickly becoming one of the go-to spots for beer in a highly competitive environment. In addition to the two limited-time IPAs, I also got a third taster of a beer I had wanted to try for some time. 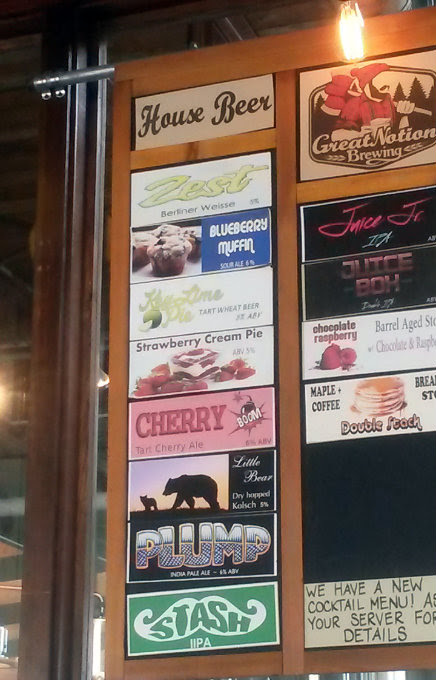 STRAWBERRY CREAM PIE: A 5.0% ABV berliner weisse / sour. Creamy, tart, and delicious. I'm slowly getting more and more into the tart and sour beers, although I'm still positive that the American IPA will stay my favorite for the foreseeable future. Lovely strawberry cream pie qualities. 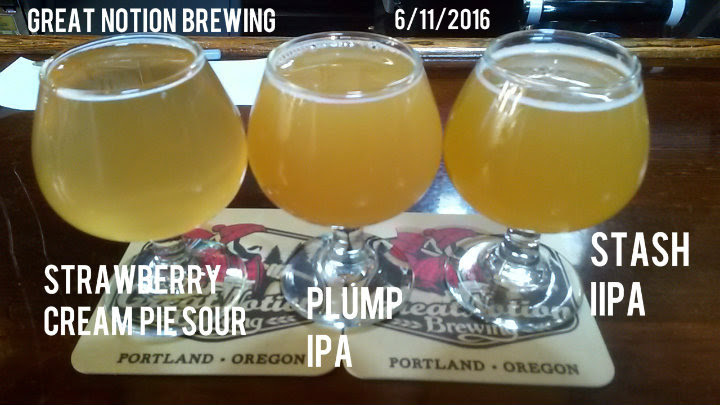 PLUMP: Their limited-time 6.0% ABV IPA for PDX Beer Week. Tropical and juicy, just like other Great Notion beers. I asked how to tell this apart from the Stash IIPA, and the server simply said Plump will smell like weed. She was dead on with that one. Also tasted like it smelled, to a certain degree. Not sure on this one, but it was at least drinkable for me. STASH: Their limited-time 8.5% ABV Double IPA for PDX Beer Week. A tropical, dank, and hoppy offering that I found similar to Juice Box. Juicy on the aftertaste, with passion fruit and orange notes. Also got some pine on the flavor. Definitely the better of the two IPAs. Overall, another wonderful trifecta of beers from Great Notion. I'm wondering if they will ever be able to keep up with local demand. 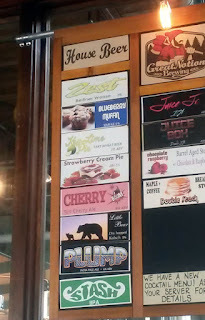 They have limited the buying of certain crowlers (namely IPAs) to one per person per day. Frankly, from a business standpoint, it's a pretty good problem to have.